I really worried upon making the choice to return to work, that I'd struggle to keep up the momentum I had with this blog. I imagined within a couple of weeks it falling to the side and in all honesty, it turning stale again for a while till I had things figured out. It had happened previously after my maternity leave with Noah ended and I truly couldn't see how this time would be different. I knew I had developed more of a deep rooted love for my blog this time around, and I was making a small income from it monthly, so that was definitely an incentive to push harder. But if I couldn't keep it up last time, and I would be having more on my plate now more than ever with two children in the mix, surely it would suffer the same fate? I guess the proof would only be in the pudding, how I actually felt when I returned to work and had to juggle my blog alongside that. 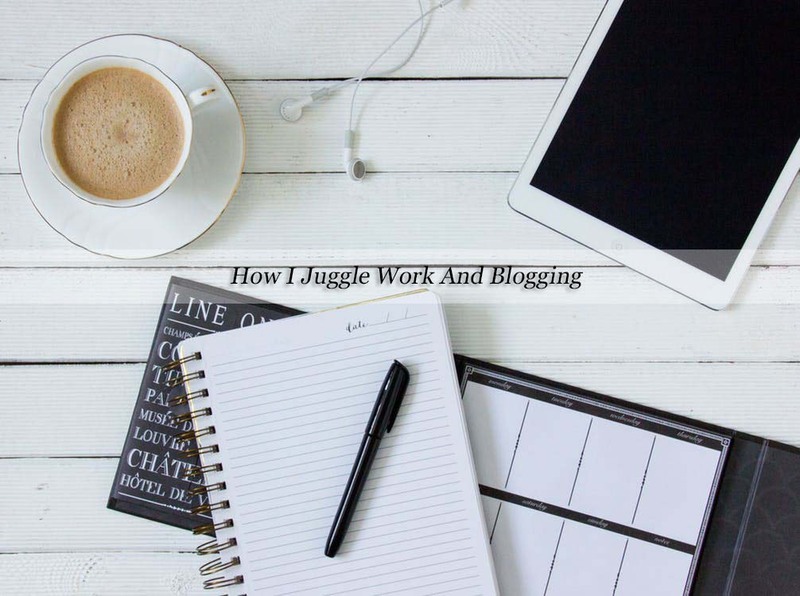 Now I'm two months into the juggle, I feel I can talk about how I'm managing, if at all. I didn't really have any plans on how it would work or what balancing act I would try to pursue, I just knew I wanted to keep up my routine that I've managed since the start of 2017 - three posts a week, Monday, Wednesday, Friday. I know it's not great putting pressure on yourself, but I feel as though I thrive best when I have it pushing down on me, I guess you could say it spurs me on. During my first week I think I was so full of adrenaline and excitement that I was still staying up late till midnight, scheduling tweets and drafting posts - I quickly realised though this wasn't sustainable and I was getting tired, fast. Blogging has and always will be a very hobby move for me, I'm not willing to sacrifice much in order to keep it going, in terms of priorities the boys and work will undoubtedly always come first - so I couldn't keep pushing myself over the edge in terms of sleep deprivation, it could lead to a lack of concentration during the day which of course, I'm not going to risk. Over the course of my first month I actually noticed I could completely forget about my blog all week as long as I worked hard over the weekend, however that doesn't mean I'm ignoring emails 5 days a week or MIA across social. I micro manage what I can from my mobile with my bottom planked firmly on the sofa, or on my dinner hour at work. I work in childcare so mobiles throughout my working day is an absolute no no, obviously this can make things a little trickier when trying to have a presence online but I feel I've managed quite well so far. Some weeks I really don't have the motivation to head upstairs and log on, I just want to spend my weekends watching trash tv, and of course, I indulge in doing just that I think if I started forcing myself to write and work then I'm immediately fighting a losing battle. I'm doing this because I enjoy it, yes of course there are perks, but there are also woes that I do have to balance out, as soon as the enjoyment ceases, it ends for me. A huge factor in helping me keep momentum was the effort I put into my blog in the weeks approaching my return to work, I ended up having a months worth of posts lined up and ready to go out. It works so well and I consider them 'stock posts', something I can post when I didn't manage to draft anything up that weekend, or if I'm struggling to get the photograph I need to, I don't have to worry about missing my day for posting as I've got a little stockpile of blog posts. I wont lie, I am incredibly proud of how I've managed things up till now. We're mid to end May and I can't see things slowing down anytime, even after taking a two week break for our holiday away, I felt raring to go when we got back, I had so many post ideas and things I wanted to talk about that I almost couldn't wait to write again. I hope things continue pushing along as they are, John repeatedly tells me he hasn't a clue how I'm managing it all and sometimes, I don't even know myself, I guess I'm winging it?